Betty Willis, its designer, has died, but her "Welcome to Fabulous Las Vegas" sign lives on. Drive safe & come back soon. In 1952, a local salesman named Ted Rogich decided that Las Vegas needed a roadside sign that would welcome visitors to the city. In the postwar years of the American Southwest, highways plowed through long open stretches of sand. You could drive right past a town, even Las Vegas, and not know it. Las Vegas had a sign heralding everything, Rogich said. Everything except itself. The Welcome sign stands in the town of Paradise, four miles outside Las Vegas city limits, near the huge stone columns of the old McCarran Airport and the bright green hologram of the Bali Hai Golf Club. The sign does not face Las Vegas, but rather looks away. So, if you live in Las Vegas, and you want to see the sign, you have to leave the city. You have to get in your car and head south out of town, turn around, and come back in. 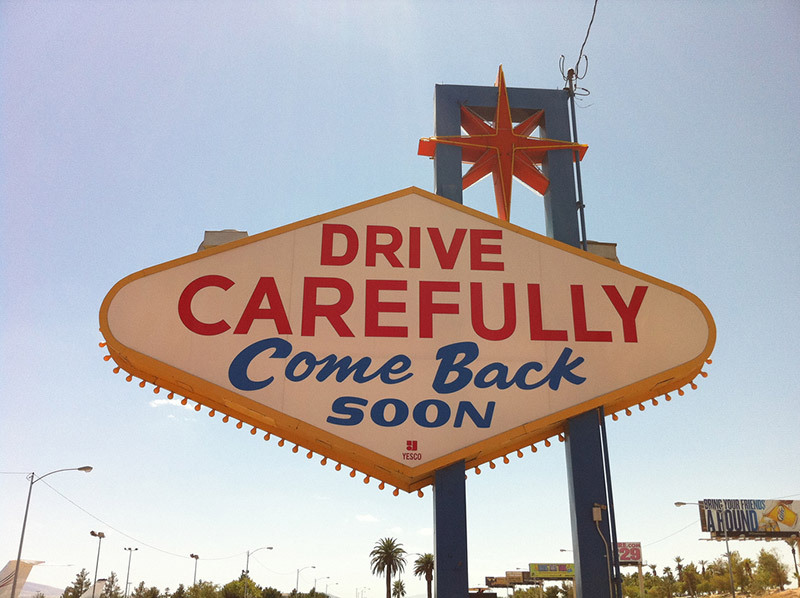 If, for some reason, you find yourself at the south end of Las Vegas Boulevard, all you will see is the sign’s backside suggesting you DRIVE CAREFULLY and Come Back SOON. It makes sense that the great icon of Las Vegas is not actually in Las Vegas. Most cities keep their icons within city walls for the benefit of its citizens. Any Los Angeleno standing on the corner of La Brea and Hollywood Boulevard can see the HOLLYWOOD sign. The Eiffel Tower can be viewed from all over Paris; the Kremlin is in the heart of Moscow. What makes the “Welcome to Fabulous Las Vegas” sign true to Las Vegas is that it exists mostly for visitors. When Betty Willis designed the Welcome sign in the late 1950s, fabulous was a superlative that meant terrific, marvelous, legendary. 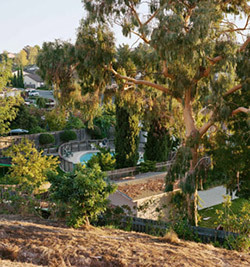 “We thought the town was fabulous,” Mrs. Willis explained to The New York Times in 2005, “so we added the word.” “It was a word a whole lot of people liked,” she once told The Las Vegas Sun, “and we liked it, too.” But fabulous also means mythical, unbelievable—a made-up thing, a fable. Welcome to the city of make-believe, says the sign, whose story is unreliable. 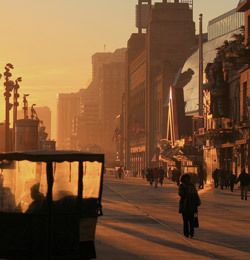 Welcome to the city that will never fall to ruin because atmosphere does not decay. This sign for The Mint casino and hotel, also designed by Betty Willis, was removed in the 1980s when the casino was absorbed. 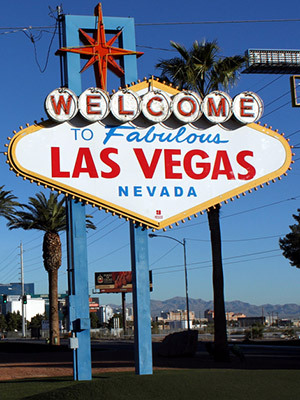 Perhaps the most surprising fact about the “Welcome to Fabulous Las Vegas” sign is that it remains standing. Erected in 1959, by the 1970s, the sign was — in ever-changing, ever-updating Las Vegas — an anachronism. 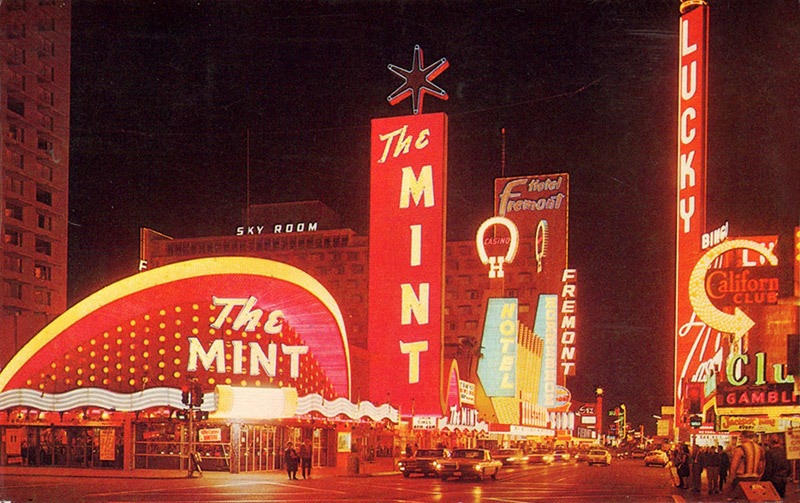 Other signs designed by Betty Willis have been scrapped or put to rest in abandoned lots that residents have turned into burial grounds for neon: the medieval hatchet of the Normandie Motel, the sign for the old Mint casino which was absorbed by Binion’s Horseshoe in the 80s. 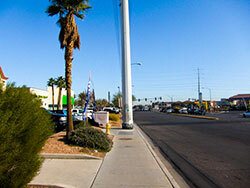 No building, no statue, no landmark in Las Vegas lasts very long. In 1980’s Las Vegas, for instance, a landmark dating from the 1960s was tantamount to an ancient ruin. Even “Old Nevada” is a reconstructed mining town of saloon facades and wheelbarrows built for the purpose of teaching local children history. That the Welcome sign still stands makes it an icon that is also an anomaly. A true Las Vegas landmark is one that explodes, that is razed to the dust it emerged from. Las Vegas is a monster bred to eat itself, an ouroboros devouring its tail, a phoenix that must die again and again so that it can be reborn. And yet, though millions have passed it by as they left the city, the “Welcome to Fabulous Las Vegas” sign abides. Las Vegas residents have built a little park around the sign, and energized it with solar panels. The sign is beloved by residents and tourists alike. A few years ago, Clark County employees rallied to have “Welcome to Fabulous Las Vegas” placed on the National Register of Historic Places, alongside other salvaged bits of American memory, like Wigwam Village in Arizona and the Alabama Theatre in Birmingham. In its way, “Welcome to Fabulous Las Vegas” is a sign for all America, which must forever turn its back before it can face itself again, and in which anything deemed worth saving must first be devoured. Images by PrayItNo Photography via Flickr (Creative Commons), Michael Koukoullis via Flickr (Creative Commons), and Luis Villa del Campo via Flickr (Creative Commons) and via Vintage Everyday.